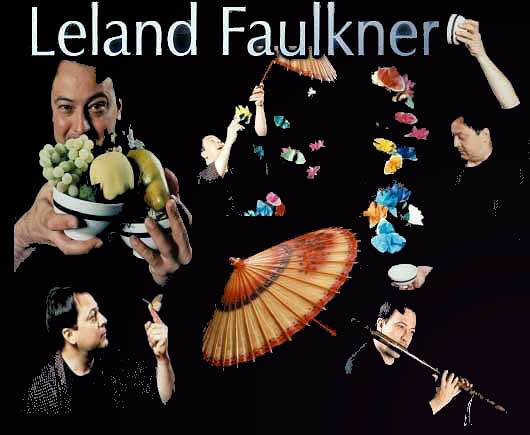 Enter a world of wonder inspired by personal experiences and world travel, Leland Faulkner has conjured an enchanting program for family audiences. Paper becomes filled with movement as butterflies dance and multiply: shadows take on a life of their own in an imaginative exploration of light. His use of visual effects and story gives creative perspective to the ancient art of the actor, mime, and magician..
Leland is the former director of the Celebration Barn Theatre, and was on the distinguished roster of Affiliate Artists for seven years. He has toured a wide variety of popular programs for more than twenty years. From the Kennedy Center in Washington, D.C, to The Ebaru Cultural Center in Shinigawa, Japan he has held audiences around the world in the palm of his hand. 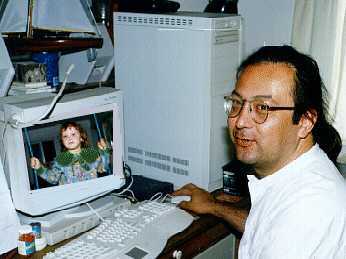 Leland holds a degree in Motion Picture Studies and won national recognition with the receipt of a Cine Eagle Award in 1997. In his concert presentation, Leland enhances classical theatre techniques with astonishing magic and poetic shadow imagery. Vivid characters add extra dimension to original stories, pantomimes and interpretations of ancient fables. His mastery of image, world story, magic, and movement communicates to the heart and soul of his audiences. A variety of entertaining program choices are available, ranging from single appearances to long-term residencies. "...educational, beautiful ...one of the best productions for families that we have ever offered. "